Happy Halloween! Even though we don’t celebrate Halloween, I’ve had a lot of fun with all this Halloween nail art! 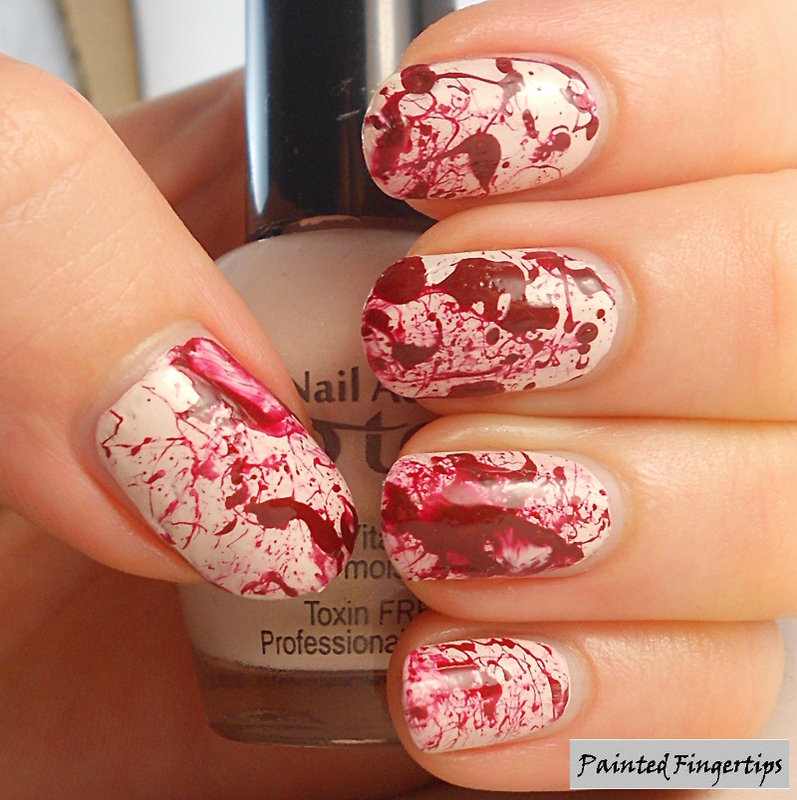 For today I have created some blood spatter nails. I started with a base of Tip Top Baby Cheeks. Once it was dry, a used a straw to splatter Tip Top Red Rendezvous over it. 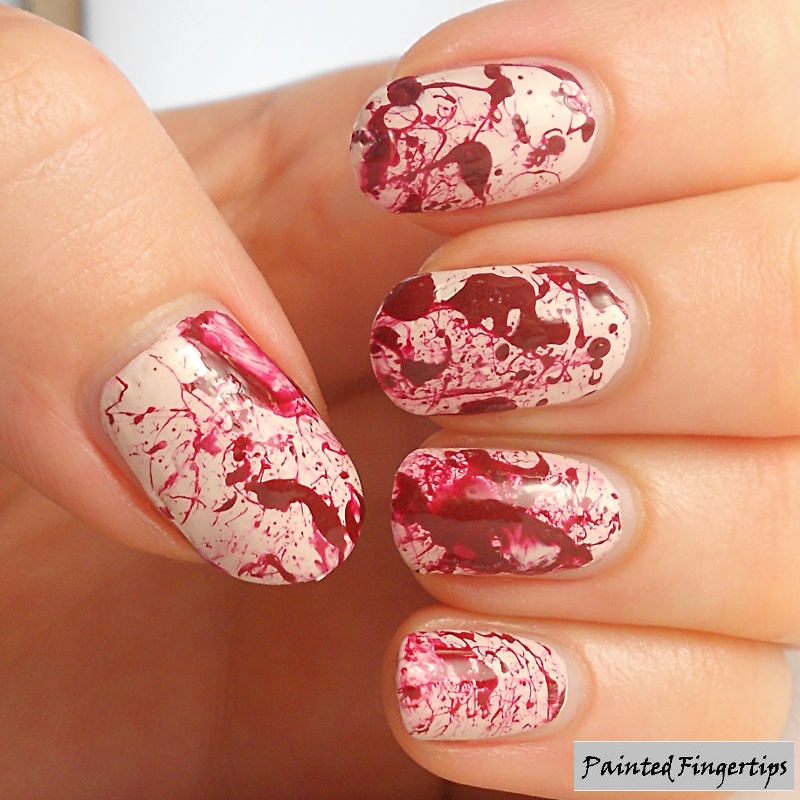 It’s hard to control what happens with this technique, so the splatter is very random. It’s also very messy, so be prepared for a lot of cleanup if you try this! This is the second time I’ve tried a spatter manicure, the first time was for a multicoloured graffiti theme a few months ago. 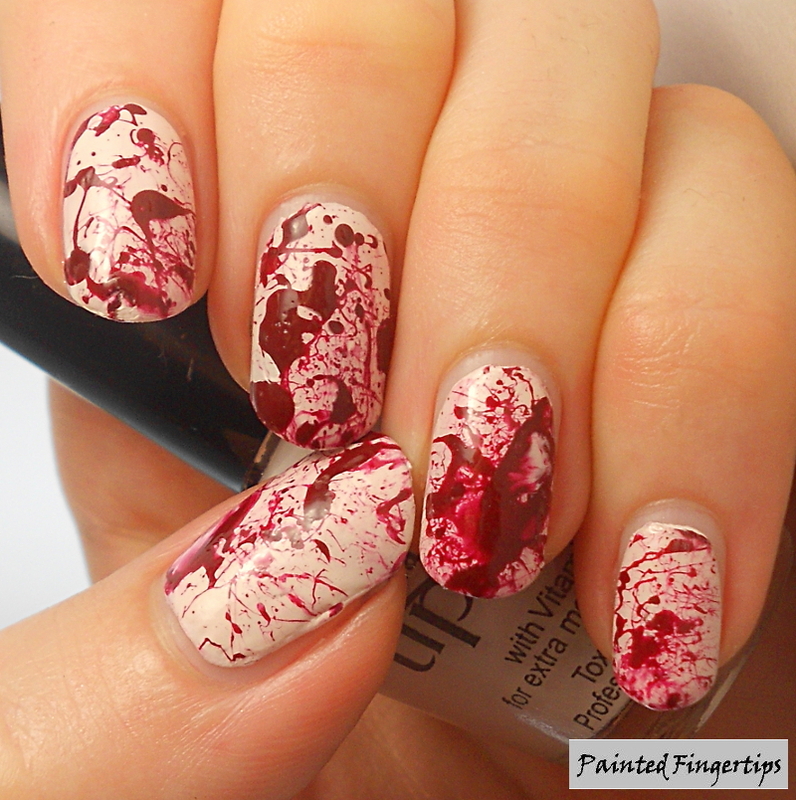 What do you think of these blood-splattered nails? Which has been your favourite Halloween look?